In the 3rd generation of the 3rd series BMW cars were assembled and sold about 2.5 million copies, which already speaks for itself. The model was produced for almost 10 years, starting in 1991 and ending in 1998, but it has not lost popularity even now. Huge number of fans and just looking to buy a cheap, good and reliable car often stop the choice on it. But is it good? I will try to answer this question. Still, 10 years of operation, it is many to form a reputable opinion about the car. So, BMW e36 1996 was purchased by me in 2006 on the secondary market. To think about my feelings or the behavior of the car a decade ago of course it is difficult. The only thing that saddens is the lack of understanding at the time of the main rules of buying a BMW 3 series what car I got with only 4 cylinders and with minimal comfort. The driving is gorgeous, it's all heard. But of course, very much depends on the proper operation of the steering and suspension, fault which can reduce the maximum speed to 100 km.h. and spoil all impression of the car. If there are no problems - the car can accelerate to 190 km.h. on good roads. Power is sufficient for city to break away from the traffic lights, but only for one or two people in the cabin. 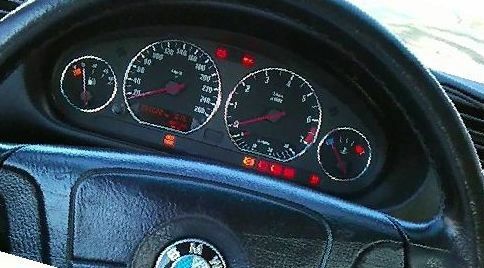 Of course, experienced riders on serious cars you don't get ahead, but BMW e36 318i accelerates very well from the start. Repairing a bmw e36 I had a lot of time. First in auto workshops, then my friends, then alone. And it should be noted that to repair the car yourself is possible and even necessary. This is not only cheaper, but also you will be sure that everything is done efficiently. Besides, repairing the German constructor is quite simple. But! Causes of frequent car repair lie in itself... sneaky. Machine provokes aggressive driving, including on bad roads. This buy it now is not people with large incomes. And this leads to the fact that the repairs and maintenance save. The car is not serviced on time and long runs with failures. And, definitely, it should be noted that if I went and with such care in any other car I would have already walked. For the money the repairs are very affordable - at the level of the Pasat-crocodile 90-ies. All the parts to get it no problem and for parts of such machines a lot. But at the prices you need to focus and where it is profitable to buy need to know. Throughout the decades the appearance of the car has not changed too much, but if change does happen, it's a rather small detail. Many people admire the design 15 year old car. And how cool that BMW was in those early 90s! Each element of the car body is fitted and laid out under a General concept. And although the age of the car is the enemy design, BMW E36 can still be called modern and stylish. In addition, there are many options for tuning. But unfortunately, to me this is still not available. Standard bumper looks as if it came from Motorsport, but it still forged under standard road. Below is the pipe that increase downforce, and on each side of the car you can see the duct that supplies a flow of air to the brake discs that are the perfect solution for their cooling. In the middle there is a cutout for the radiator. The car looks aggressive, but "aggression" could be more, so the pictures BMW 3 that you find online may not particularly impress. The solution is again the tuning. Let's just so, - the interior of the BMW 3 we now will not consider, because it is not important in this model. 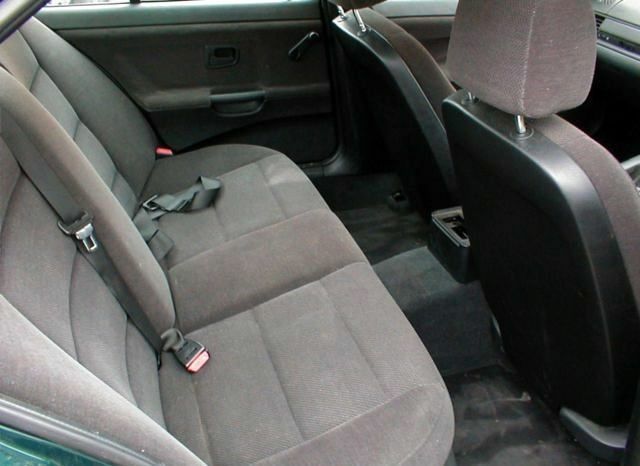 The weak side of the plastic e36 interior is its strong point in the overall ratio price/quality of the car. The front seats are comfortable enough, despite the simplicity of the seats. The backseat is not enough. But there it is quiet and after continuous driving is even very nice to see your car with new side - the sound of the engine is very different, if you sit in the back seat. 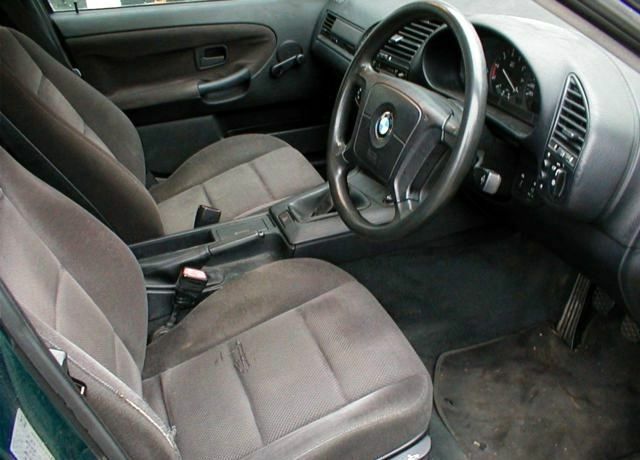 It should be noted that in the E36 was a very nice interior at the time, but at the same time it is much inferior to the BMW e38 and e34 BMW (5 series and 7 series). Besides, it's worse than a saloon BMW E36 coupe. But other cars of that time were much inferior to the BMW 3 series. In this model, the 96-th year is the m43 engine. The year is important because the 95 year was the restyling of the engine. The differences are minimal and not significant. 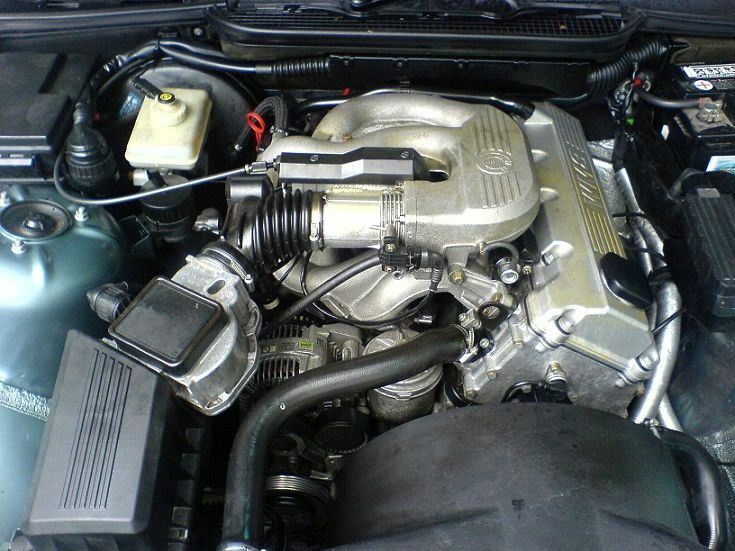 The 318i engine is 1.8 liters and 115 horsepower, which subside with age and minor troubles concerning the engine. Overall, the engine is very reliable, most importantly do not overheat, do not turn speed limit and to monitor the oil. But I did it - turns out the previous owner had done engine overhaul and not quite correctly assembled inserts connecting rods. Them and broke, and at the same time the seat of the crankshaft. Having examined and having considered the costs for complete and correct Assembly, it was decided to buy the whole engine. While the car was in the garage and was waiting for me with the engine, and it was quite a long time in not particularly good weather, surfaced another interesting detail - it turns out in such conditions, the interior trim behind the ceiling and doors. The fabric is simply sagged. Although it is unlikely to be a feature of BMW. I guess many salons would not survive. Even I could not believe. Yes, and to work with the engine was comfortable enough - all in German thought, simply and accurately. The m43 engine can easily crawl from all sides, thanks to its modest dimensions. The hardest bolts on the engine from the reverse side, including the starter. With engine 6 cylinders to work it would be worse. Would I have Bought the exact same car now or not? And what are my impressions about the BMW 3 E36 1996 318i? The car is good in all variants. Do not be ashamed to drive, repaired the e36 is not expensive and not difficult. Sets for tuning you can buy easily and inexpensively. Servicing this car is not expensive. 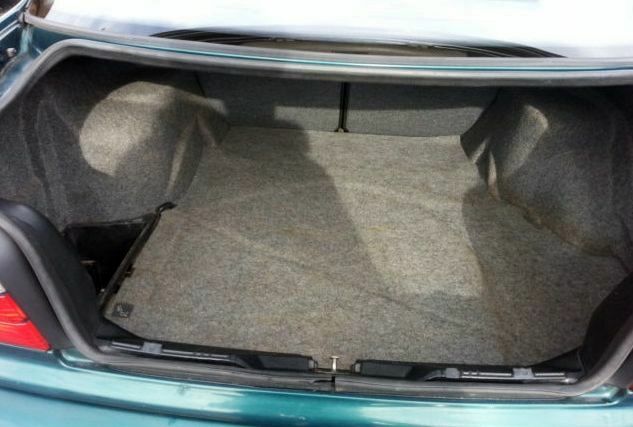 But I definitely would have bought now e36 with an engine larger volume, and in the back compartment. Still the driver not really concerned about the comfort of the passengers in the rear seats. 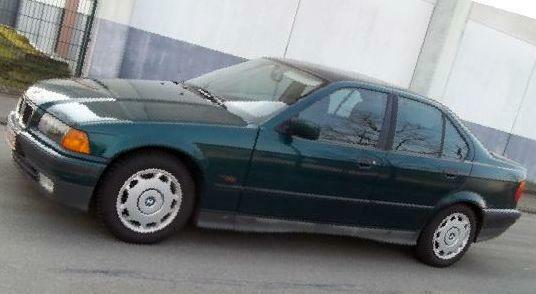 Probably, I now with pleasure would change bought 3m bmw e36 coupe with an engine capacity of 3 liters. But overall I'm happy with my car!